BUFFALO – The Sabres’ coaching staff recently conveyed a straightforward message to Tyler Myers, their struggling franchise defenseman. Myers compiled 11 goals and 48 points three years ago during a dynamic rookie campaign. Back then, the slick youngster was a world-class puck-rusher and strong in his own end. Twenty goals and 60 or even 70 points, gold standards for a superstar defenseman, seemed likely someday. So did a Norris Trophy. These days, however, Myers is simply trying to climb out of a season-long slump. For now, offense has mostly taken a backseat as he’s concentrating on cleaning up his defensive play beside new partner Christian Ehrhoff. Clearly, the 23-year-old Myers has taken the staff’s words to heart. Myers has a career-long nine-game point drought entering tonight’s contest in Montreal against the Canadiens. But Myers, a minus-7, believes he’s improving, saying Friday he’s “pretty close, if not there in most part.” Slowly, his confidence looks to be returning. Myers, who has only three goals and four points in 27 games, is no longer a tire fire in his own zone. He’s settling down, playing a calmer style than in January and early February, when he was scratched twice. He has played more than 20 minutes eight times during his point drought. When Myers is fully comfortable, he’ll begin rushing the puck more frequently. Then perhaps his offense will reappear. He pinched twice from the point late in Sunday’s 5-3 loss in Washington. The first drew a penalty. The other nearly created the tying goal. Incredibly, Myers has started the last three seasons wretchedly, something he’s cognizant must stop. Myers was probably the NHL’s worst defenseman early in 2010-11, accumulating a stunning minus-15 rating at one point. The pressure to duplicate his Calder Trophy season overwhelmed him. He climbed out of his massive rut slowly, though, reaching his rookie form by late in the season. He was scratched once in November last season and up-and-down throughout. This season, the first year in a seven-year, $38.5 million contract, former coach Lindy Ruff benched him twice when he was a minus-9 in a six-game stretch. “It’s something I have to address,” Myers said about his poor starts. “I think the biggest thing and the reasoning behind it is I want to do so much coming into a season, that I want to help the team so much that I end up taking a lot more risks than I should. “I think mentally I have to look at just relaxing coming into a year, making sure I’m ready physically with my strength and conditioning working with our strength guy here. It’s going to help me that much more. Notes: The Sabres had Monday off in Montreal. … Home games on March 31 against Boston and April 7 against New Jersey – both Sundays – have been moved to 7:30 p.m. from 7 p.m. for NBC Sports Network. The Boston tilt will still be televised locally on MSG. Hard to believe the Sabres are paying him $12M this season to be a stay-at-home dman. That’s not a lot of bang for the buck. I still think the growth spurt that sent him from 6’7″ to 6’8″ after his rookie season has made him awkward, clumsy, and gangly. He’s no longer the smooth-skating defenseman. Ever remember him falling, stumbling or fumbling the puck like he does now when he was a rookie? I sure don’t. 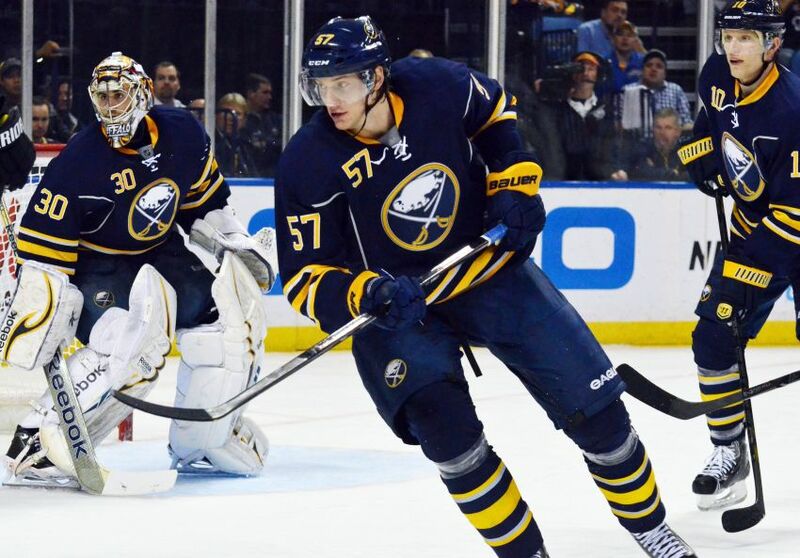 Previous Previous post: Which Sabres forward would Rolston sit if Kaleta returns?